More than 30 elite Filipino police commandos were killed during an attempt to capture a terror suspect, the Associated Press reported. 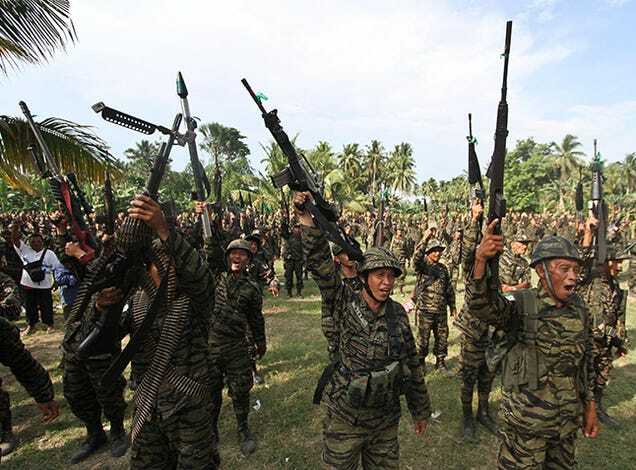 The raid resulted in a "misencounter" with members of the Moro Islamic Liberation Front, a Muslim militant group that won semi-autonomy last year after four decades of fighting, Mamasapano's mayor told the AP. Chat about 30 Elite Filipino Police Killed in "Misencounter" with Militants here at scam.com!